We have 7 units but only 4 are available for online booking. 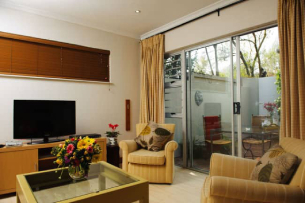 Searching for ROSEBANK guesthouses or SANDTON accommodation? 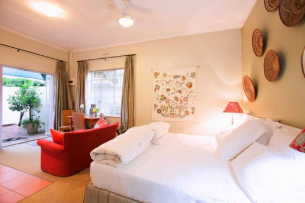 Liz at Lancaster Guesthouse is an ideal choice as we offer self-catering accommodation and B&B accommodation in CRAIGHALL PARK centrally located for these areas. 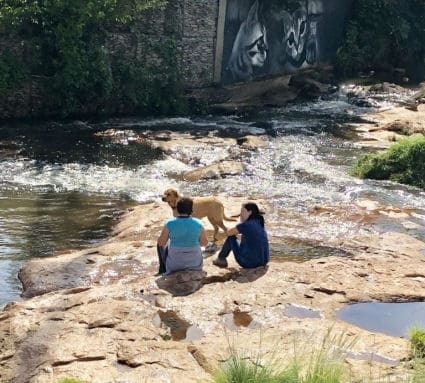 One of several Craighall Park guesthouses, we are also near the major business and leisure hubs of Melrose Arch, Illovo, Dunkeld, Parktown and Johannesburg Central. With the ROSEBANK GAUTRAIN STATION less than 3km away, there is safe fast access to and from O.R. Tambo International Airport, Pretoria, Sandton and Joburg CBD. GROCERY STORE & RESTAURANT a 3 minute walk at the end of the block. 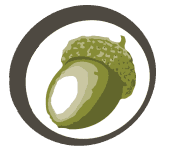 Spoilt for choice with neighbourhood restaurants and café culture in Craighall Park or nearby Parkhurst. Choice of department stores, banks, restaurants, movies, bookshops at Hyde Park Mall or any of the Rosebank Malls. One of the first guesthouses in Johannesburg, Liz at Lancaster opened in 1994. We have a long track record for comfort, service excellence and very reasonable rates. On the whole, South Africa does musicals and theatre brilliantly and for sure the Broadway and West End musical Chicago will be excellent. The original 1975 production was directed by Bob Fosse and was based on a 1926 Broadway play about 2 Chicagan women, who were accused of killing their lovers whilst under the influence of drink and jazz. Winner of six Tonys, two Oliviers, one Grammy, two Baftas and six Academy Awards, Chicago is the longest-running musical revival in Broadway history. Our informal theatre group have their tickets booked – can’t wait! It’s on at the Teatro, Montecasino, Johannesburg from 23 April to 26 May . Autumn she is here … leaves are turning and falling but Delta Park is still green. Walking here in mornings and late afternoons (particularly over weekends) is a treat. Sadly the cosmos have finished but there is still lots of other activity: runners, cyclists, horses in the paddocks, adult baptisms, dog-walkers, bird-watchers you name it. For a photo-blog click here As with all parks walk where there is lots of activity and not in isolated spots. Best to turn right over the Blue Bridge off Marlborough Ave and walk all along the “spruit” or head up the hill to the ponds beyond. Liz at Lancaster Guesthouse is a great place to stay in Joburg. Liz’s attention to detail is amazing and she has really thought of everything (including flashlights and solar lights in case the electricity goes out, a jar of rusks, Q-tips and other bathroom amenities, etc). The beds were very comfortable and there were plenty of comfy pillows. It was incredibly quiet, despite being located in the city, and the location is very secure, with off-street parking. The cottage was spacious and cute. Liz has compiled an extensive resource book with comments about a lot of nearby restaurants & things to do. It is many times more comprehensive than any other I’ve seen in many years of using B&B’s. Breakfast was excellent and included delicious homemade muesli, fresh fruit, yogurts, eggs and other hot breakfast items. We were never hungry. While Liz was away when we first arrived, John was the perfect host, showing us around, serving us breakfast and giving us ideas about the places we intended to visit. While we only had a brief moment to meet Liz in person, she was always very communicative before and during our trip, responding very quickly to any questions we had. I can’t say enough good things about Liz at Lancaster and I highly recommend it as one of the best B&B’s I have ever encountered. Thanks Liz, John, Caroline and everyone else who made our stay memorable. Liz at Lancaster offers comfortable lodge accommodation in Johannesburg and is a haven of peace, comfort and convenience to tourists over-nighting before a safari, solo travellers, families with children, medical patients recuperating, business travellers and consultants staying for extended periods. 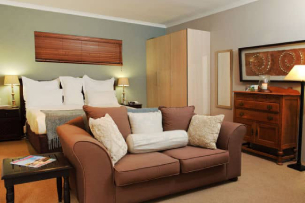 Many delegates attending conferences at Rosebank Hotels choose not to stay in Rosebank hotel accommodation but rather at nearby Rosebank guesthouses such as Liz at Lancaster.